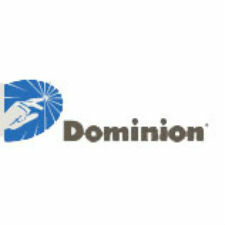 Dominion Resources, Inc. (NYSE: D), announced Wednesday the sale of an aggregate of 2,800,000 shares of its common stock through a registered underwritten public offering to UBS Securities LLC, as the sole underwriter for this offering. The net proceeds from the offering will be used for general corporate purposes, to finance capital expenditures and to repay short term debt including commercial paper. The offering is expected to close on May 27, 2015, subject to customary closing conditions. The last reported sale price of the company’s common stock on May 20, 2015 was $71.89 per share. UBS Securities LLC proposes to offer for sale the shares of common stock from time to time in one or more transactions on the New York Stock Exchange, in the over-the-counter market, through negotiated transactions or otherwise at market prices prevailing at the time of sale, at prices related to prevailing market prices or at negotiated prices, subject to receipt and acceptance by it and subject to its right to reject any order in whole or in part. A shelf registration statement (including a prospectus) relating to the offering has previously been filed with the Securities and Exchange Commission (“SEC”) and has become effective. Before investing, interested parties should read the prospectus and other documents filed by the company with the SEC for information about the company and this offering. You may get these documents for free by visiting EDGAR on the SEC website at www.sec.gov. Alternatively, a copy of the prospectus may be obtained from the underwriter at: UBS Securities LLC, Attn: Prospectus Department, 299 Park Avenue, 28th Floor, New York, NY 10171, Phone: (888) 827-7275.